While in Baltimore last Thursday for a meeting of the Catholic Relief Services Board of Directors, Archbishop William Lori of Baltimore called to inform me of the death of his predecessor, Cardinal William Keeler. In his kindness, Archbishop Lori reached out to tell me before I heard it in the news. He knew that Cardinal Keeler was a kind of “spiritual father” to me, going back to my years as a seminarian and young priest. The Cardinal was the same age as my parents, to whom he showed much kindness through the years, especially when I was away for several years of study in Rome. Cardinal Keeler and I grew up in the same hometown: Lebanon, Pennsylvania, and the same parish, Assumption of the Blessed Virgin Mary, and we went to the same schools: St. Mary’s School and Lebanon Catholic High School. Cardinal Keeler was always fondly remembered by the people of Lebanon as an incredibly bright student, an Eagle Scout and a devout “son of Saint Mary’s.” He came to be considered “a hometown hero” when he became a bishop, archbishop, and cardinal and as he became renowned in the Church both nationally and internationally. I have many fond memories of Cardinal Keeler, going back to when I was interviewed by him and the seminary review board in 1977 when I applied to study for the priesthood in the Diocese of Harrisburg. 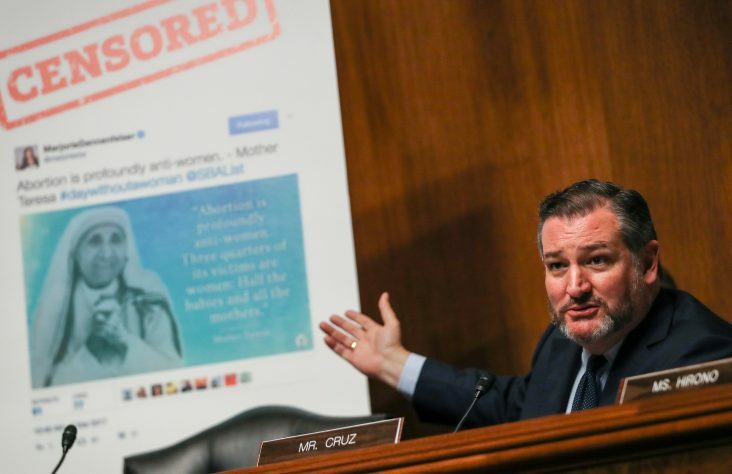 I recall his concern when he learned that my maternal grandfather was Greek Orthodox, an immigrant from Greece. As a skilled canon lawyer, he wanted to make sure that I was indeed a Latin Catholic and not properly a member of the Greek Catholic Church. Thankfully, things checked out canonically! In the years that followed, the future Cardinal always remembered my Greek ancestry and was insistent that I learn Biblical Greek well, considering my roots!! 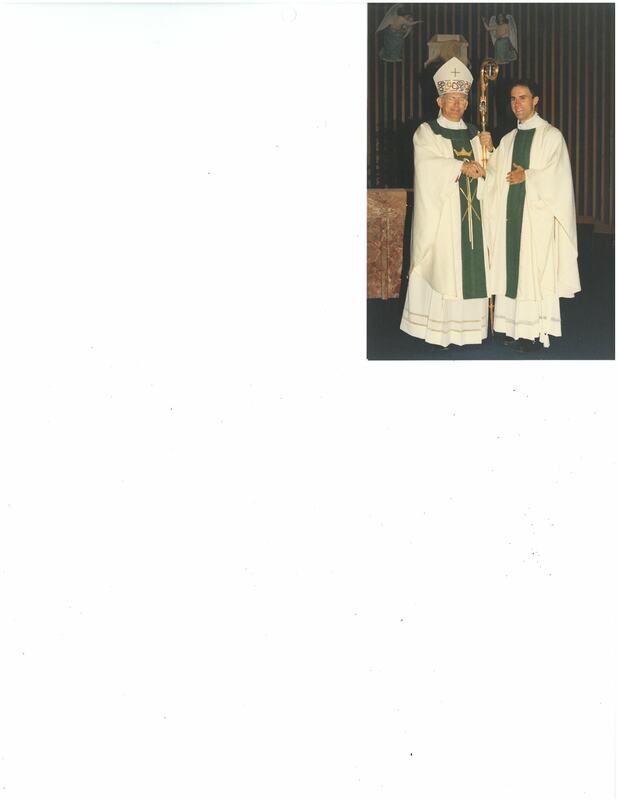 Cardinal William Keeler congratulates Father Kevin Rhoades after ordaining him to the priesthood on July 9, 1983, at Assumption of the Blessed Virgin Mary Church in Lebanon, Pa. 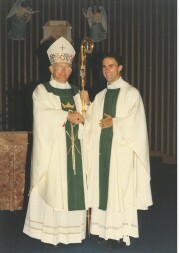 I was ordained a priest by then-Auxiliary Bishop Keeler in 1983 in our home parish church in Lebanon. I remember his pastoral sensitivity to my “ecumenical family” since my father’s side was Lutheran. Already back then, he was a leader in ecumenical relations and dialogue in the United States. He would also become a renowned international Catholic leader in ecumenical and inter-religious relations. 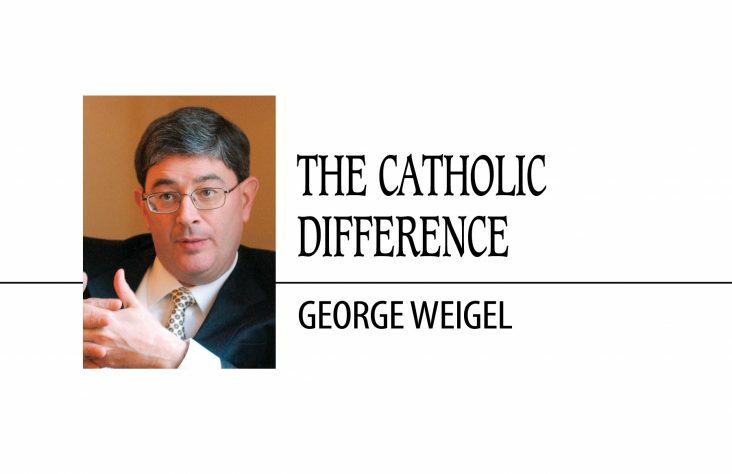 His passion for ecumenism began when he was a young priest at the Second Vatican Council. He accompanied Harrisburg Bishop George Leech as a “peritus” (an expert advisor). At the Council, Monsignor Keeler would translate and explain the speeches and documents to English-language journalists covering the Council. In my second year as a priest, happily serving at St. Patrick Parish in York, Bishop Keeler, who had become the diocesan bishop in 1984, decided to send me back to Rome for graduate studies in canon law. Since I loved parish work, I wasn’t very thrilled to leave. I was also more interested in theology than canon law. I must confess that I bargained with the bishop, asking him to allow me to finish my licentiate in theology before studying canon law. With his typical compassion and understanding, he agreed! When I returned to Harrisburg in 1988 after completing the three years of graduate studies, Bishop Keeler assigned me to work as an assistant in his office (as a “priest secretary) and also to serve as Vicar for the Spanish-speaking communities in three counties in and around Harrisburg. For a year, I worked in the chancery during the day and served the Hispanic community in the evenings and on weekends. During that year, I saw up-close Bishop Keeler’s incredible work ethic and his amazing leadership of the diocese. I assisted him mostly with theological and canonical research and writing related to his growing national and international responsibilities. I often drove him to Confirmations and other events around the diocese. In the car, he always prayed the Liturgy of the Hours aloud so that I could pray along with him. Frequently, he had me make detours to hospitals or rectories so he could visit sick priests. In the car, he would often make phone calls to offer words of comfort to people who were sick or were mourning the death of a loved one. 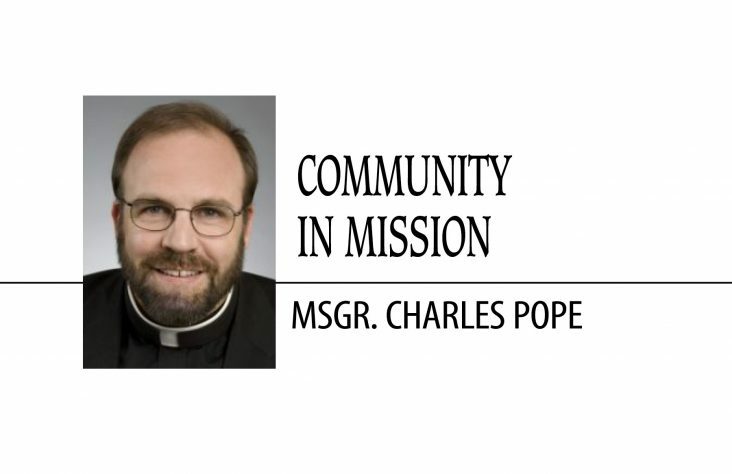 He was particularly devoted to cancer patients and continued the ministry he had done as a priest as a spiritual director of cancer survivors. At the end of that year, Bishop Keeler was transferred to Baltimore. He became Archbishop of the oldest and premier diocese of the United States. 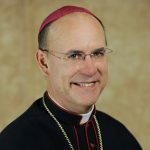 There was a lot of sadness, but also a lot of pride, in Harrisburg at his becoming Archbishop of Baltimore in 1989 and also later in 1994, when he was created a Cardinal. 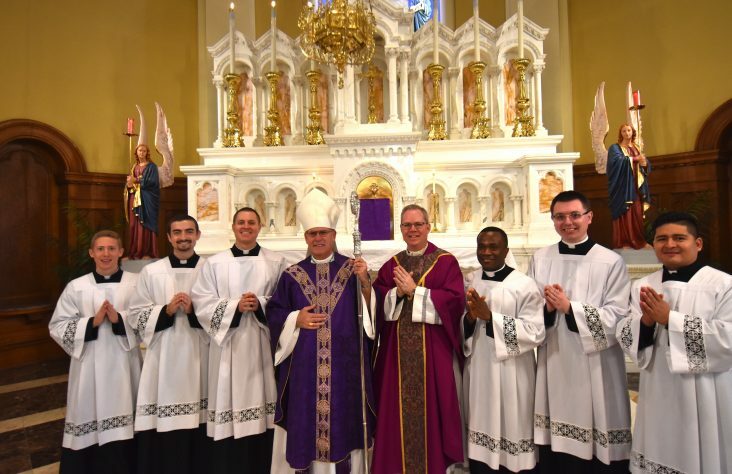 Many of the faithful of the Diocese of Harrisburg attended both his installation in Baltimore and also went to Rome for the consistory at which he was created a cardinal. Surprisingly, a few years later, I again came under Cardinal Keeler’s tutelage when I was assigned to teach, and later became Rector, at Mount Saint Mary’s Seminary, in Emmitsburg, Maryland. 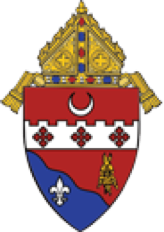 The Mount is located in the Archdiocese of Baltimore and the Archbishop served ex officio as Chancellor of the Seminary. During the 9-½ years that I served at Mount Saint Mary’s, I had frequent contacts and meetings with Cardinal Keeler. As Rector, I learned a great deal from Cardinal Keeler’s wise counsel and benefitted again from his teaching and example. He was always very supportive of the Mount and always willing to help in our fund-raising and other needs. The seminarians always looked forward to his visits and also greatly appreciated his including us at events in Baltimore, including the visits of Pope John Paul II in 1995 and of Ecumenical Patriarch Bartholomew in 1997. One of my most poignant memories of Cardinal Keeler took place on October 30, 1994. I was at home with my family in Lebanon as my mother lay dying. That was the same day that it was announced that Archbishop Keeler was named a cardinal and it was all over the news. Late that day, with my family, after praying the rosary at my Mom’s bedside and blessing her, she passed away. About an hour later, I received a phone call from Cardinal Keeler who expressed his deep sympathy and his prayers. My mother loved Cardinal Keeler, so his call meant a lot to me and my family. I was surprised that, on such a busy day of media interviews and activities, the Cardinal had heard of my Mom’s death and called us so quickly. When I mentioned this and congratulated him, he said to me that what my family and I were going through was much more important than his becoming a cardinal: the passing of my beloved mother into the arms of the Lord. I will always remember Cardinal Keeler’s compassion and kindness on that difficult day in my life. I am very grateful that Cardinal Keeler, who ordained me a priest, was a co-consecrator at my episcopal ordination on December 9, 2004, at St. Patrick Cathedral in Harrisburg, the same place he was ordained a bishop 25 years earlier. He was the 7th and I was the 9th Bishop of Harrisburg. As Bishop of Harrisburg, I was blessed to see Cardinal Keeler fairly often. He came to my installation here in Fort Wayne on January 13, 2010. By that time, he was retired and in somewhat declining health, but he made the effort to support me in my new assignment. During this past week, Cardinal Keeler has been remembered in the news for his many achievements as an archbishop and cardinal: as an ecumenical and inter-faith leader and pioneer; as a leader among the U.S. Bishops, including his service as Chair of many committees and eventually President of the USCCB; as restorer of the first cathedral of the United States, the Basilica of the Assumption in Baltimore; as host of Pope St. John Paul II’s visit to Baltimore; as advocate for the poor to attend Catholic schools; and for many other accomplishments. I would add to these accolades my personal remembrance of Cardinal Keeler as a man of prayer, a true pastor who was always showing kindness to people, especially to those who were hurting or suffering in any way; a gentleman in the best sense, considerate and thoughtful; and a shepherd who always strove to serve the Good Shepherd and to build up His flock in unity. He was always building bridges among people of different faiths. He himself was a bridge, an instrument of God’s love and grace in the lives of the many people he cared about, including me. Please join me in praying for this humble priest and bishop, Cardinal William Keeler. May he enter into the joy of his eternal Master and receive the rich reward of his labors!